Firstly, use cold butter. Yes, butter. It is better to use butter in scones than coconut oil. As it melts into the dough in the oven, it creates beautiful layers. Add a knob of cold butter into dry ingredients and cut into little pieces with your knife or fork. Then start massaging with your fingers until the dough comes together. Don’t work your dough too much. 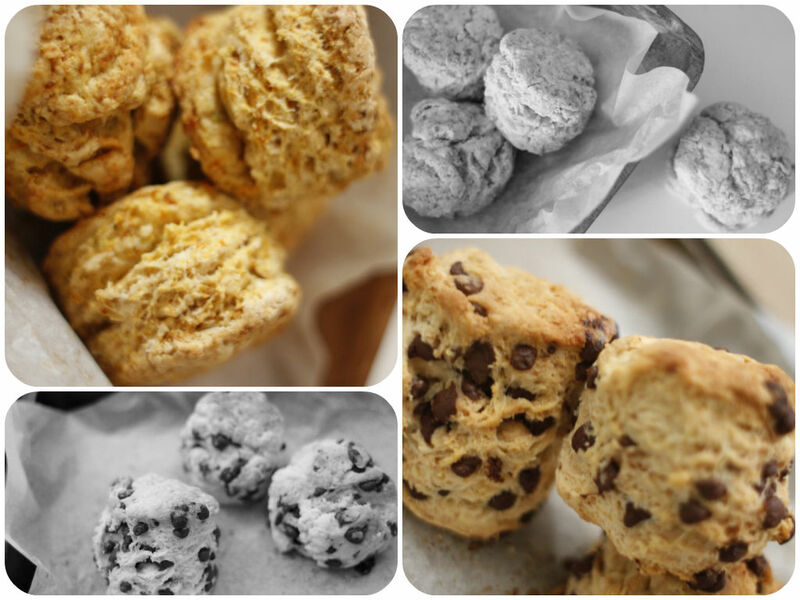 Otherwise scones will not rise because kneading converts the protein in flour to gluten. Gently fold the dough in half and in half again, a few times to get flaky and layered scones. Don’t pat the edges of the scones after cutting them. Bake them for a short time in high heat. I bake for 15-20 minutes in the 200 preheated oven and take them out to cool. *You might need more or less milk depending on what flour you use and how moist your pumpkin mixture is.